Today there were no mistakes. Today nothing went wrong. Today was a red day: the Ferraris looking the quickest things out there, reminding us that - despite the odd clanger dropped this year - the F138 is a rapid car and will likely remain rapid just about everywhere. Felipe Massa finished a strong third recovering from a grid penalty while triumphing, and triumphing at home, was one Fernando Alonso. And it was a typical Alonso victory. If you had to construct an identikit win for the Spaniard it'd probably involve early-race aggression, especially on the first lap wherein Alonso passed Lewis Hamilton and Kimi Raikkonen around the outside of turn 3, and then once the lead is seized he holds close to complete command with a swift and consistent drive. And so it was. Only Kimi Raikkonen's strategy of stopping one time fewer threatened to get in his way, but Alonso always had the pace to handle that too. In the end, he prevailed at a canter. And further, what does it all mean for the championship fight this season? Barcelona, rightly or wrongly, has a bellwether reputation, being competitive there tending to indicate having a fundamentally good car. Turns like turn 3 and Campsa give the car one heck of an aerodynamic test, and as such in recent times it's been almost impossible to envisage a Ferrari coming out on top around here. Today the Scuderia swept the board. Alonso remains 17 points off the table top, still harmed by Malaysia and Bahrain where he didn't pick up many (or any) points. Yet today's results don't half spice up the Vettel-Raikkonen-Alonso championship fight, each being drawn closer to the others. And not that Fernando will likely care a great deal about this, there was also rather a lot of fuss behind him. Not in terms of wheel-to-wheel action but rather in terms of F1 agonising over itself, and on a familiar subject for the sport in recent weeks. Yes, it's the dark matter of the Pirelli tyres. Once again, there was much tyre nursing going on up and down the field. A tight five-car scrap in the early laps was blown apart as it all kicked in, and at one point Vettel appeared to let Kimi through as a consequence of needing to be gentle on his rubber. 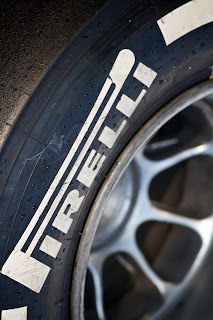 Tyre wear was extreme, with four-stoppers the norm (something that Pirelli has always said is more than intended) and some able to eke out stopping only three times. As regular readers of this site probably know by now, I'm someone who supports the approach with Pirelli being asked to produce tyres that degrade rapidly, mainly on the grounds that it creates much more action than in what came before. But even with all of this it all seemed a little like things had gone too far in the Spanish race today, and moreover did so with a conservative tyre selection. It also goes without saying that the succession of delaminations seen in the last two rounds needs to be investigated, as it by now seems rather beyond coincidence (Jean-Eric Vergne was the latest to suffer from it today, and it so nearly scuppered Alonso too, as his tyre was punctured at his final stop). But in my view the changes need to be ones of degree rather than ripping up the entire approach and going back to 2010 spec. As I need to keep reminding people, 'races' weren't really worth watching back then (especially not at Barcelona). And equally it's important not to panic either: Barcelona (like China) with its long corners is one of the very toughest races of the year on the rubber, today was a hot day, and the trend of the last two seasons has been for the extremities of the tyres' behaviour to narrow as the year goes on. Furthermore, in Paul Hembery we're in good hands in terms of making whatever changes are necessary without overreacting. And for all of the talk of Pirellis' more outlandish days rewarding those who cruise and collect, just as in China hare strategies beat those of the tortoise in Barcelona today. Alonso won by going for a stop more and pushing. It's also probably not coincidence that the most vociferous tyre complainers - both within F1 and among those watching on - tend to be associated with those losing out competitively from it all. To quote the maxim: where you stand depends on where you sit. The tyres' characteristics were nevertheless a major millstone to some in Barcelona. This was especially the case for Mercedes who (seems like a long time ago now) locked out the front row of the grid. But both sank like a stone in the race itself to end up P6 in Nico Rosberg's case and P12 in Hamilton's. While most expected that the silver cars' (in)ability to look after the tyres would lead to them falling down the order, not even Cassandra herself would have predicted the outcome they got in the event. The car's tendency to destroy the rubber got its ultimate punishment today. And Red Bull was also a victim, albeit less so. Sebastian Vettel found he couldn't fight either, and swiftly entered damage-limitation mode. He salvaged fourth at the end (with Mark Webber fifth - not helped by yet another dud start) which retains his title lead, as well as retains his consistent points-gathering of 2013. He'll be hoping against hope that other circuits do not punish Red Bull's tougher time it gives the rubber (compared with the Ferrari and Lotus) to the extent that Barcelona did. Thus Pirelli isn't the only one to have a bit to think about as we head into the business part of the season. 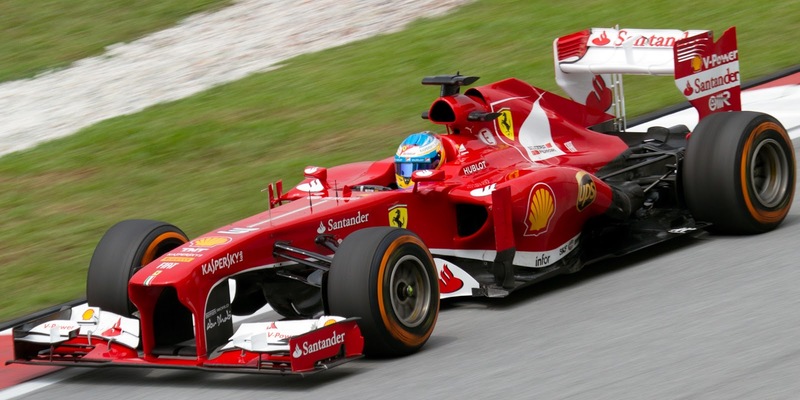 On today's evidence 2013 could, at last, be the witness of F1's red revival.